On the eve, more or less, of my trip to Eurocon at Copenhagen, let me assure you that the biography, A Life with Dragons by Robin Roberts, is excellent. She manages to know more about why I write than I do, and does it in such a smooth manner that I was bloody well glad she wrote it. She researched everyone still alive, and figured adroitly why and how I write as I do. It is seriously well done and I’m very pleased I was her subject. She’s done me proud and those I wanted to get credit – namely Virginia Kidd, RIP – who skillfully managed to make me better than I started out to be. Anne McCaffrey: A Life with Dragons (University Press of Mississippi) by Robin Roberts is the life story of a writer who vividly depicts alien creatures and new worlds. As the author of the Dragonriders of Pern series and the first woman to win the Hugo and Nebula awards, McCaffrey (b. 1926) is one of the most significant writers of science fiction and fantasy. This biography reveals a fascinating and complex figure, one who creates and recreates her fictions by drawing on her experiences. At various stages, McCaffrey has been a beautiful young girl who refused to fit into traditional gender roles in high school, a restless young mother who wanted to write, an American expatriate who became an Irish citizen, an animal lover who dreamed of fantasy worlds with perfect relationships between humans and beasts, and a wife trapped in an unhappy marriage just as the women’s movement took hold. Meticulously researched, Roberts draws her narrative from interviews with McCaffrey, her children, friends, and colleagues as well as archival correspondence and contemporary reviews and criticism. 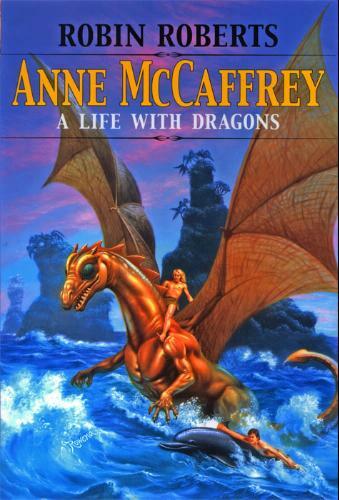 Anne McCaffrey: A Life with Dragons is a nuanced portrait of a writer whose appeal extends well beyond readers of her chosen genre. Robin Roberts is associate dean of the College of Arts and Sciences and professor of English and women’s and gender studies at Louisiana State University. She is the author of Sexual Generations: “Star Trek: The Next Generation” and Gender; Anne McCaffrey: A Critical Companion; A New Species: Gender and Science in Science Fiction; and Ladies First: Women in Music Videos (University Press of Mississippi).